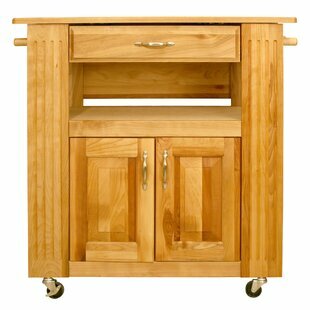 The Catskill Craftsmen Kitchen Cart is a multifunctional storage unit for your kitchen. 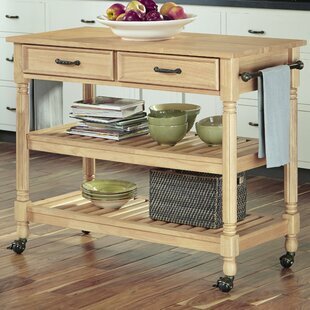 This space saving kitchen cart includes a cutting board, cabinet, a drawer, and three shelves. The brushed nickel retainer rods on the side shelves safely hold your spice bottles. The cabinet features raised panel doors. There is a removable towel rack on the side, where you can keep kitchen towels. 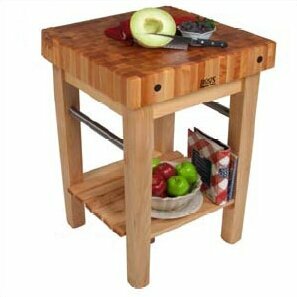 On the cutting board, you can chop fruits and vegetables while preparing meals. The kitchen cart includes... 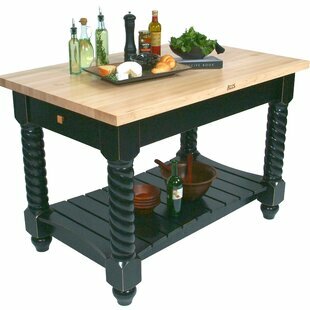 Overall: 34.25 H x 36 W x 27.5 D Assembly Required: Yes Base Material: Solid Wood Counter Material: Solid Wood Overall Product Weight: 78lb.